Jessica Ames is the Program Manager at TCi. 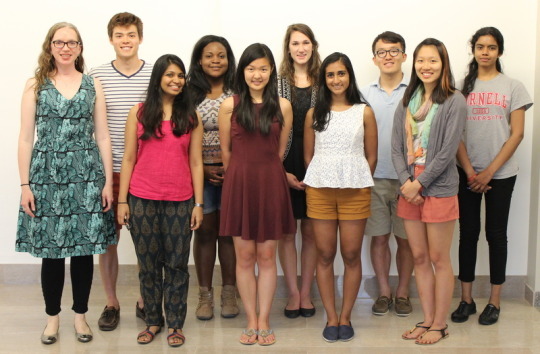 This summer, she’ll be traveling across India to visit the TCi Summer Interns in their various field sites. When I was an undergraduate, I had the opportunity to enrich my education by spending time in other countries. Going to Honduras changed my life. It was a service project over Spring Break, when for the first time, I was exposed to a rural village in a developing country and made a connection to a culture different than my own. From this experience, I shifted the focus of my studies towards international development and I pursued increasingly intensive experiences abroad. For example, I studied for a summer in China and then later a semester in Spain. After graduating, I worked as a Peace Corps Volunteer in Peru. And later as a graduate student, I interned with the World Food Program in Ghana. Looking back, I believe I learned more life lessons, more practical & real-world professional skills, and more about myself than any amount of time spent in classrooms. Coursework is obviously very important, but getting in the field to apply what you’ve learned and getting abroad - to force yourself out of your comfort zone and take on challenges in a new context – are extremely fruitful endeavors. Clarify their career goals, as in: do they want to do research or not? International development or not? Food/Ag/Nutrition public policy or not? This summer in India could very well change their lives and their perspectives forever! It happened to me in Honduras, and I am thrilled to be facilitating a similar opportunity for our 9 TCi Interns and 4 PhD Researchers this summer. You’re going to be hearing from them!